With a large chunk of grass to knock down for hay and haylage, one Surrey farmer turned to the used market for a cost-effective, high output triple mower solution. Geoff Ashcroft reports. From Potts Farm, Farnham, Surrey, Matthew Luard cuts 404 hectares (1,000 acres) of grass each season, to make about 20,000 big bales of hay and haylage. And this is one of the reasons why he invested in more output, but instead of buying new, he chose a secondhand set of Krone triple mowers to replace a 6m front/rear trailed combination. “I would have liked a new triple mower set, but given that I’m only mowing 1,000 acres each year, the cost of buying new kit can be quite prohibitive,” he says. 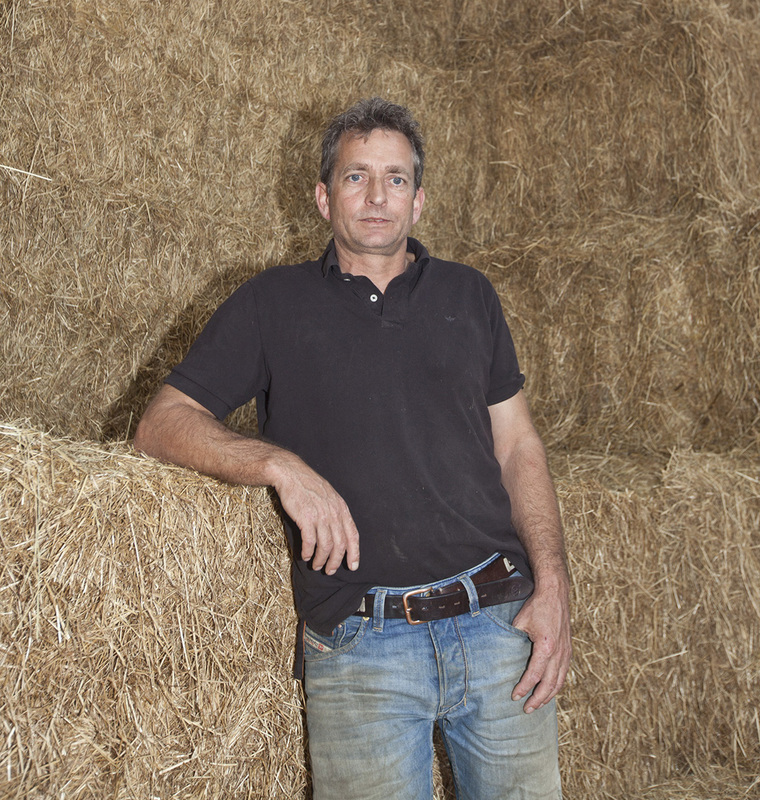 “Producing high quality hay demands speed, efficiency and good weather,” says Matthew Luard. Unlike silage contractors who want to knock down hundreds of acres in front of a greedy forager, Mr Luard prefers to cut fewer acres when making high quality hay. And to make the most of drying time, the emphasis is firmly targeted on mowing grass in the shortest possible time. With a focus on speed and efficiency, Mr Luard mows for a couple of hours each day, using his New Holland T7.270. Grass from his 9m butterfly combination is spread across the full width, taking full advantage of drying conditions. He says the extra fuel used in moving from 6m to 9m is negligible, given the amount of extra output available. A McHale 998 wrapper is used to wrap all the haylage bales. New leys are cut early in the season and often afford a second cut, with older grass being cut in July. Blades are changed regularly to maintain a clean cut, which can mean up to three sets of blades per season. “We do a lot of grassland maintenance too, so we roll fields to make sure any stones are put back in the ground,” he adds. His season starts towards the end of May, with early crops assigned to haylage, before better weather improves the chances of producing high quality hay in July, making the most of summer weather. Mowing tends to follow a set pattern, and with swath boards and spreading hoods set at their widest, Mr Luard leaves freshly cut grass on the deck for a 24-hour wilt before sending in the tedders. Tedding, like mowing, needs to happen swiftly and is why a pair of six-rotor tedders will pass through on a daily basis – again, speed is the key to allow the sun to do its work. 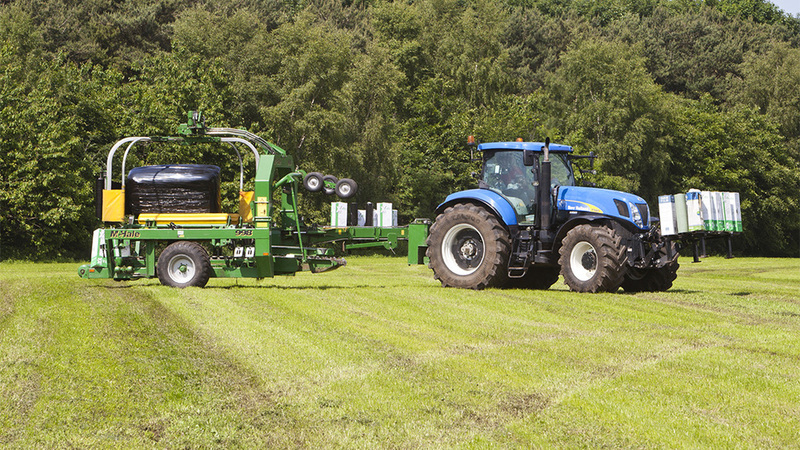 With the crop dried and the desired quality achieved, a twin rotor rake pulls swaths together for baling, where a New Holland BB9050 creates 700mm by 800mm bales. “If the weather is catchy, we’ll bale early and put six layers of film on haylage bales using a McHale 998,” he says. All bales are brought back to Potts Farm for storage, using a fleet of bale trailers. “I often hire in a second telehandler to help with field clearance,” he says. “I can keep one handler at the yard unloading and stacking bales, with the other machine working in the field to load trailers. This maintains a steady flow of bales back to the yard.